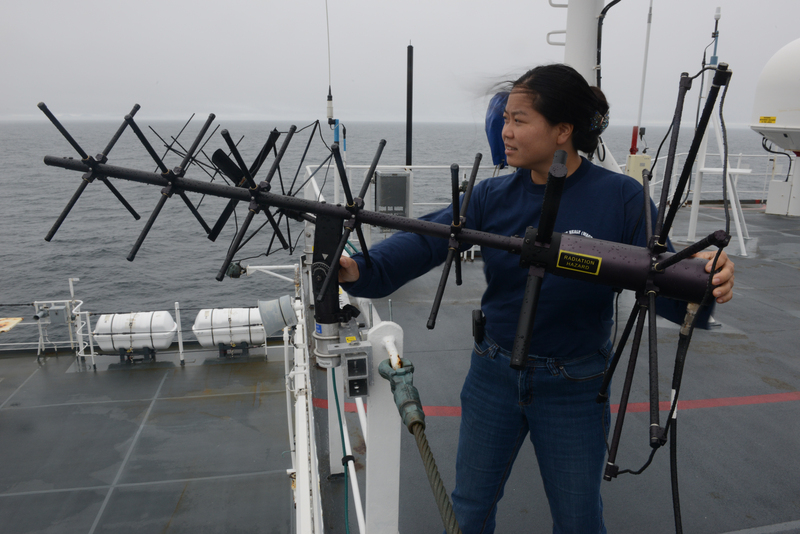 Amy Sun, an advanced program lead for Lockheed-Martin, adjusts a UHF antenna aboard USCGC Healy (WAGB-20) while underway near Alaska on Aug. 10, 2014. Most naval tasks in the Arctic has always been difficult — and not just because of the cold. The region is one of the least charted int he world and the infrastructure is limited. Even basic communications from units deployed north of Arctic Circle (66 degrees 33 minutes north latitude) are tough. But Lockheed Martin is pitching their new five-satellite Mobile User Objective System (MUOS) satellite communication constellation — developed for the Navy — as a partial solution to Arctic communication, Paul Scearce, Lockheed Martin’s Military Space Advanced Programs Director, told USNI News on Wednesday. “Up in the Arctic Sea you can’t get reliable communication from traditional military systems,” Scearce said. In 2013 Lockheed conducted its own tests to see if MUOS would work in the region. “We took it out on our own. We chartered a C-130, took three different radio and made calls all the way up to 89.5 [degrees north latitude],” Scearce said. Other recent government tests included a trip to the Navy’s 2014 ICEEX in May. 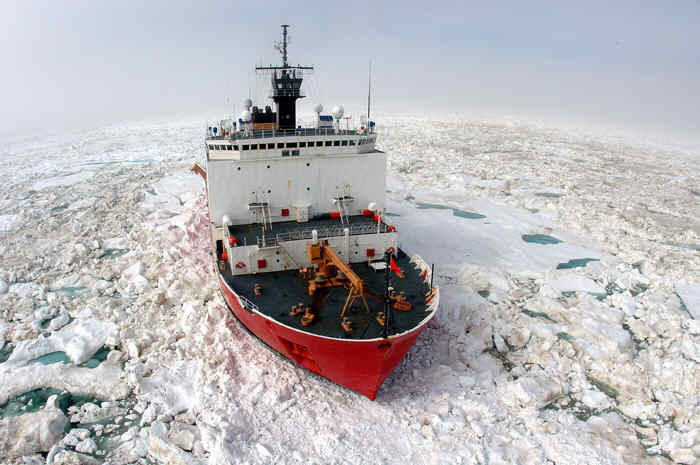 The U.S. Coast Guard icebreaker USCGC Healy (WAGB-20) is currently testing the Arctic efficacy of the two MUOS satellites currently in orbit. The test, sponsored by NORAD and U.S. Northern Command (NORTHCOM), will start at 65 degreed north latitude and travel as far north as possible. The Lockheed onboard will attempt to communicate with sites as far north as Canadian Forces Station Alert, as well as Colorado Springs, Colo. and San Diego, Calif., Scearce said. He’s quick to point out there are limitations. “It’s not complete Polar coverage 24-7. That’s part of what the operators want to understand,” Scearce said. Current estimates say the Northwest Passage — between the Arctic and Canada — could enjoy 24-hour coverage and it diminishes to about 8 hours a day closer to the North Pole. The 7.3 billion MUOS system is designed to replace the current constellations of Ultra High Frequency Follow-On (UFO) constellation the Pentagon currently uses for satellite communications. The system promises a ten times increase in data speed from the legacy UFO systems with rates up to 384 kbs. 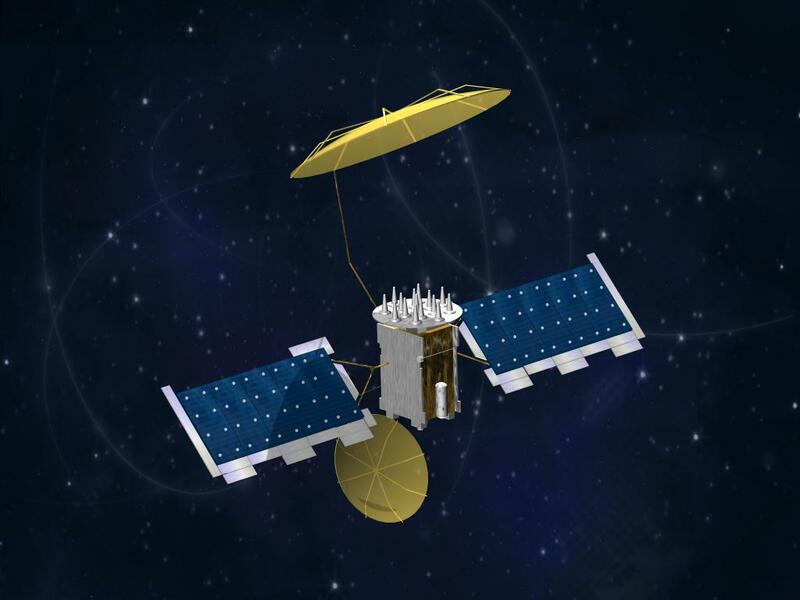 The planned five MUOS satellites will plan to be used in conjunction with ground stations Hawaii, Italy, Western Australia and Chesapeake, Va. The program has suffered setbacks. Ongoing protests in Sicily, the location of the Italian ground station, have delayed completion of the signals station. Additionally, the 2011 cancellation of the Joint Tactical Radio System (JTRS) has left only the General Dynamics AN/PRC-155 manpack radio as the only program-of-record terminal, though Rockwell Collins and Harris have developed their own MUOS capable terminals.